Uncover the incredible Sacred Valley in style with a stay at the impressive Explora Valle Sagrado with its huge range of adventure activities. Learn about the history and heritage of the Inca people. Add in a 3 or 4 day trip to an Amazon lodge or a luxury cruise. Extend your stay in Peru and explore some of its other highlights including Arequipa, the Colca Canyon and Lake Titicaca. Welcome to the Incan city of Cusco! Upon arrival, you will be picked up from the airport and privately escorted to your all-inclusive hotel in the Sacred Valley to rest and slowly acclimatize. For intrepid explorers seeking seclusion; ancient archaeology at every turn; dramatic landscapes and beautiful walks, all backed up by a cutting-edge luxury hotel nestled right in the heart of the Sacred Valley; look no further than the Explora Valle Sagrado. 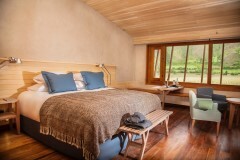 Explora Valle Sagrado is ideal for people wishing to get off the beaten track in style and comfort, while discovering the best of the Sacred Valley in intimate and personal way. Explora Valle Sagrado offers a huge selection of fascinating, enticing activities and runs a highly flexible excursion program, all of which you can choose from on the day, depending on weather conditions and your own specific areas of interest. 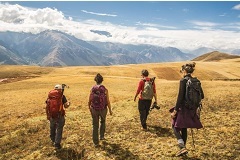 Each of the guided walks; picture perfect hikes; trails to hidden ancient sites; or adrenaline packed bike rides have been designed to offer the ultimate in pioneering adventure, leaving you feeling as if you are truly getting under the skin of this unique and memorable place. This morning, it is time to soak up one last look at the majesty of the Valley, and make your way from Explora Valle Sagrado, to the next stage of your trip. You will be transferred to Ollantaytambo train station. The train ride takes you through the Sacred Valley of the Incas up to Machu Picchu. Early morning, a small coach takes you up the steep roads to the entrance of the citadel (unescorted). We will begin the visit of the citadel: Machu Picchu remained for centuries undiscovered by the Spaniards, only to be found in 1911 by Hiram Bingham. The uniqueness of its location and the genius that went into its construction make this Inca archaeological site truly one of the great wonders of the world. After the guided excursion (with a local guide from Aguas Calientes, approx. 2 ½ hours) you will return to the town of Aguas Calientes to wait until your departure time. The entrance fee to Wayna Picchu (unescorted) is also included in your excursion. In the afternoon, return by train from Aguas Calientes to the station of Ollanta (or Poroy) (unescorted). Transfer to your hotel for a late check in and spend the evening at your leisure. After breakfast, you are welcome to spend the morning at your leisure before your city tour. Your comprehensive city tour includes the beautiful Koricancha or Sun Temple, the Cathedral as well as the Fortress of Sacsayhuaman, a most remarkable Inca building, the amphitheater of Kenko. This is followed by a visit to Puca Pucara, a strategically located 'red fortress' that dominates the entire area before visiting Tambomachay, with its two distinctive aqueducts that to this day continue to provide clean water to the area. 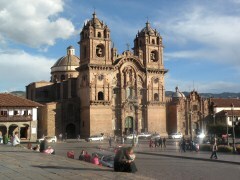 Our representative will pick you up from your hotel and transfer you to Cusco airport for your departure flight. Locked away in one of the Sacred Valley's most secluded haciendas, close to Cusco and Machu Picchu, Explora Valle Sagrado is the perfect way to experience this region which was once home to the Incan Empire. 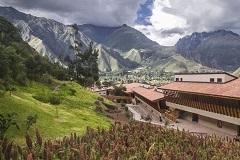 Explora Valle Sagrado also offers high end lodgings in a location which cannot be beaten. Sumaq Machu Picchu evokes Andean past of the Peruvian culture in a faithful manner which is the now the new image of the Machu Picchu Hotel. Under the symbolic concept of the chakana or also the Andean cross, the four plants of the hotel have been represented by the 4 natural elements: Air, fire, earth, and water. 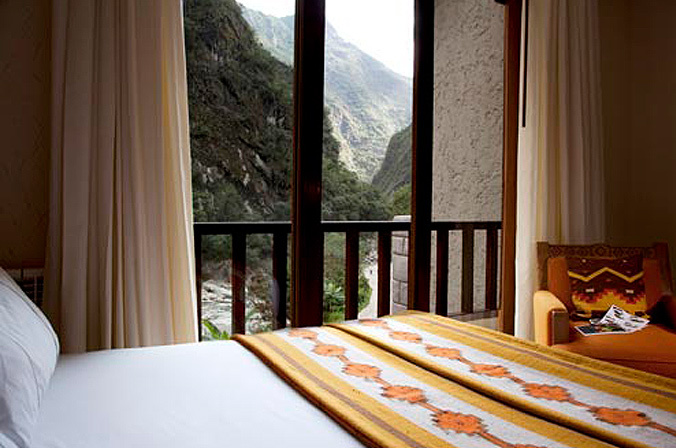 Enjoy the comfort of a place where you can live and feel the Incan culture. Included: Entrance fees, Transportation fees, Private guided tour in Machu Picchu, Hotel transfer. Excluded: Guided service in Wayna Picchu, private transfers, additional excursions, beverages. Aranwa Cusco Boutique is the essence of luxury and comfort in the heart of the Inca city. Built in a colonial mansion of the XVI century, it displays several paintings of the Cuzco school, colonial sculptures and carvings that transport us to the greatness of the time. 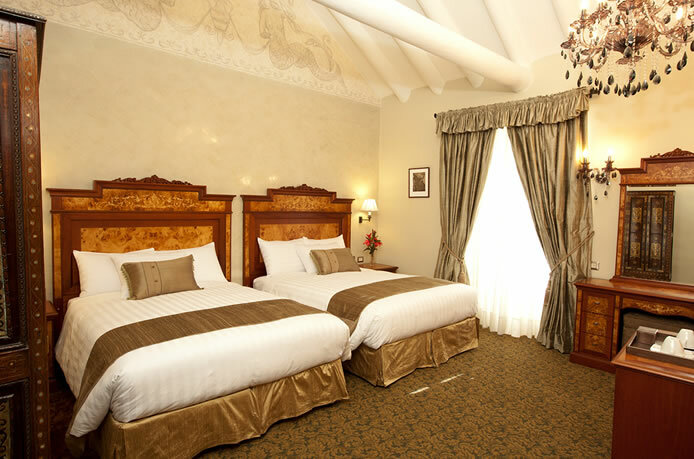 The elegant rooms are equipped with intelligent oxygen system and heating floor in the bathrooms for a great stay. *Please refer to accommodations tab for more details on inclusions. **Hotel rates are based on double/twin share lead-in rooms. Other room types and hotels are available. Rates are subject to change and different rates may apply during holiday seasons and special events.